Rocky Mountain Spotted Fever in dogs is a disease caused by the parasitic bacteria Rickettsia rickettsi that is transmitted through the saliva and blood of ticks. 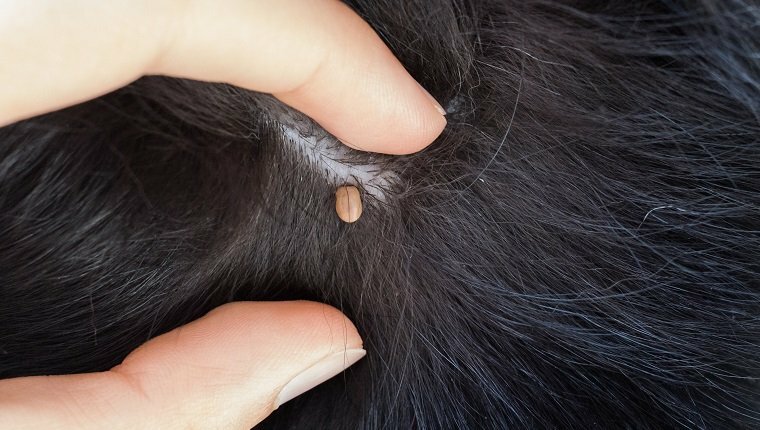 The bacteria lives most of its life inside host rodents and doesn’t make the animal sick, but when ticks bite the rodents and then feed on dogs, the bacteria is transmitted and can cause life-threatening illness to canines. 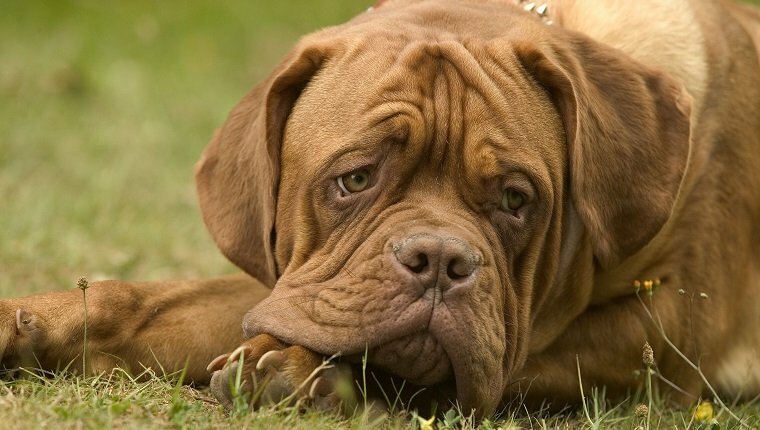 Blood abnormalities and severe symptoms can result, though some dogs do not experience symptoms. Rocky Mountain Spotted Fever appears in dogs in North, South, and Central America and is one of the most common tick-borne diseases in these regions. If your dog shows signs of Rocky Mountain Spotted Fever, you should consult your veterinarian immediately for diagnosis and treatment, as it can be a deadly disease. Here is what you should know about the symptoms, causes, and treatments for Rocky Mountain Spotted Fever in dogs. Some dogs that are infected with Rickettsia rickettsi show no signs of infection while others develop severe and potentially deadly symptoms of Rocky Mountain Spotted Fever. These symptoms can be non-specific and mimic the signs of other diseases. If your dog develops one or more of the following symptoms, especially after being bitten by a tick or spending time in an area where ticks are common, get to your veterinarian right away. Rocky Mountain Spotted Fever is transmitted by ticks who have bitten an animal infected with the Rickettsia rickettsi bacteria. Ticks can also pass the bacteria to their mates or eggs. Several species of tick can carry the disease, and how common these species are can vary by region. The bacteria may be passed through blood transfusion from an infected dog, though this is less common. Some dogs are more at risk for developing symptoms. Purebred dogs are known to be more predisposed, and German Shepherds are especially at risk. Dogs that spend most of their time outdoors or live in an area where ticks are common are also more likely to be bitten and infected. March through October is tick season, and most infections occur during that time of year. The usual treatment for Rocky Mountain Spotted Fever in dogs is a two to three week course of antibiotics, most often doxycycline, though other drugs may also be effective. Most dogs begin responding to treatment quickly in as little as one to two days, and the earlier treatment begins, the better the prognosis. The disease can be fatal if it is left untreated for too long. Any ticks should obviously be removed and wounds should be sterilized and treated. Prevention is a better way of fighting Rocky Mountain Spotted Fever in dogs. Ticks must be attached for several hours before the bacteria is transmitted, so always check your dog after they come inside. 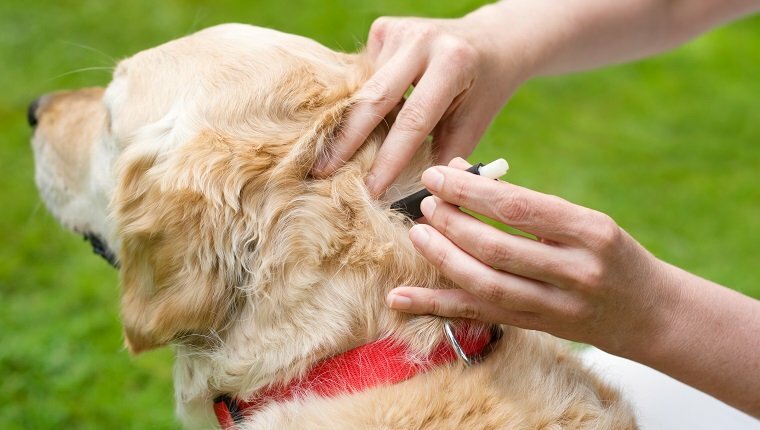 Medication is available that can prevent ticks from latching onto your dogs, and there are several home remedies that people use to prevent tick bites, as well. Discuss these options with your veterinarian and keep your dog safe. How do you stop ticks from biting your dog and transmitting diseases? Let us know in the comments below!